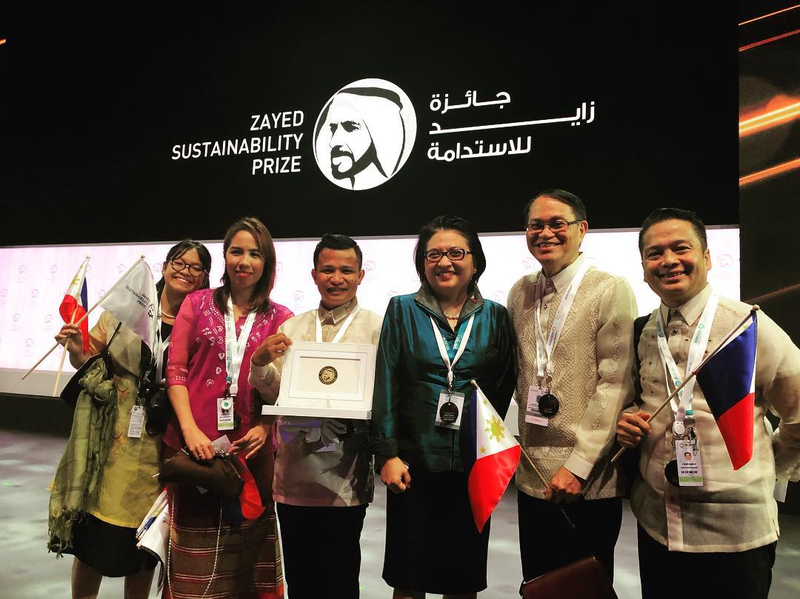 The Muntinlupa National High school in Manila hailed at the 2019 Zayed Sustainability Prize at the World Future Energy Summit. A group of young Filipino students brought another pride to the country, was one of the four schools shortlisted to win the Global High Schools category - East Asia and Pacific. Their proposed project was presented at the gathering on Monday showing a solar-powered micro-farm to promote efficient algae cultivation for energy, water, food and health. The project was first introduced in the classroom and later adopted by the school administration as a programme for the transformation of communities. The other contestants at the ESPAC Region are Fiordland College (New Zealand), Lowanna College (Australia) and Nabala Secondary School (FIJI). The prestigious Zayed Future Energy Prize was inspired by the UAE's Founding Father, Sheik Zayed Bin Sultan Al Nahyan, an evolution of the Zayed Future Energy Prize. It recognizes people's work that provides sustainability project across various categories such as Health, Food, Water and Global High Schools.